All summer long I’ve had the best of intentions to make shortcakes. But as is often the case, I’ve gotten sidetracked by other baking projects. 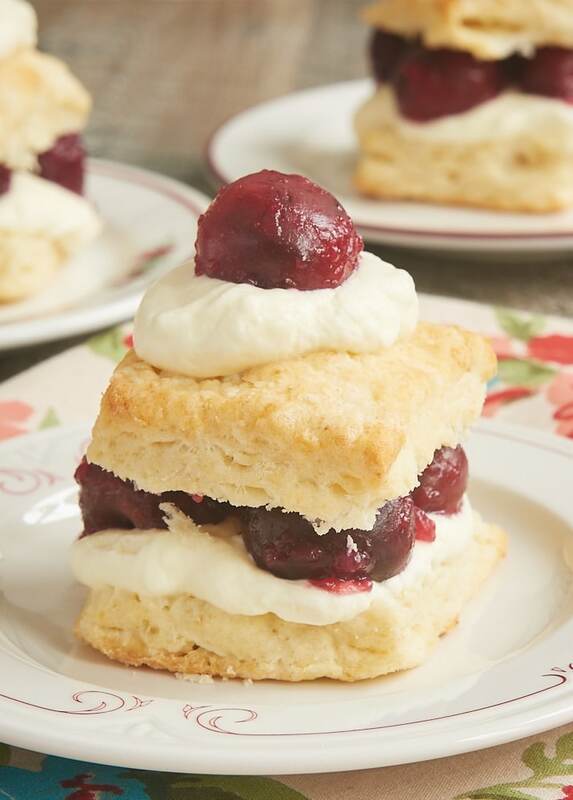 Not wanting to let the entire summer pass without enjoying such a summertime must, I made use of some beautiful cherries to make these Cherry Shortcakes with Cream Cheese Biscuits. 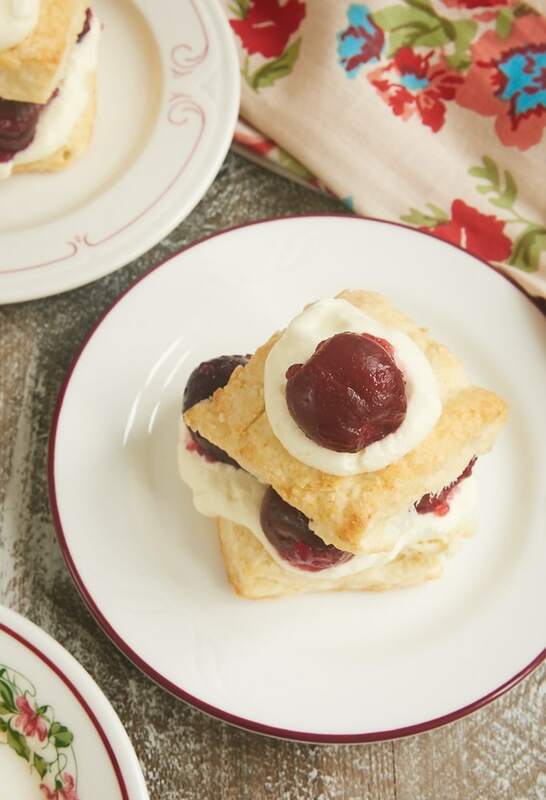 For something a little different, I opted to make these shortcakes using my tried and true recipe for Cream Cheese Biscuits from way back in the BoB archives. I’ve been making these amazing biscuits for years. They are much like traditional biscuits, but with a little bolder flavor and a super soft texture. 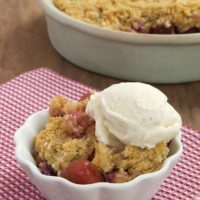 And they’re the perfect foundation for these Cherry Shortcakes! The cherry component is a simple one. You just need a few ingredients and a little bit of stovetop time. Cooking the cherry mixture creates a thicker, more syrup-like liquid to go with all of those cherries. 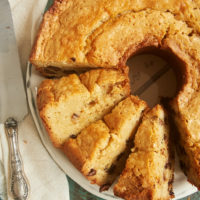 It’s so easy to make, and the flavor and sweetness level are just right. Keep in mind that you may need to adjust the amount of sugar you add to the cherries according to how sweet your cherries are. 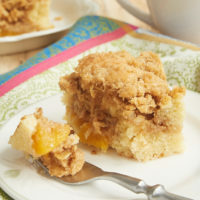 I’ve listed the sugar as a range in the recipe as a reminder to make an adjustment if necessary. 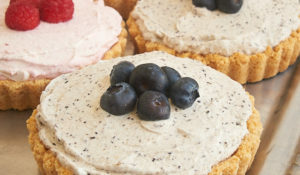 And, of course, what are shortcakes without whipped cream? The flavor and texture of homemade whipped cream is truly unmatched. It only takes a few minutes, and it’s well worth it. If you like, add a little vanilla extract or almond extract to your whipped cream for a little extra flavor. I use a slightly larger biscuit cutter for making shortcakes than if I were just making biscuits for breakfast. You can, of course, use a different size cutter than I specify in the recipe. That’s an easy way to scale the recipe up or down if you just need fewer or just a few more servings. 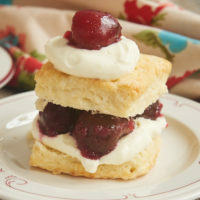 I just love these sweet Cherry Shortcakes as a summer treat. 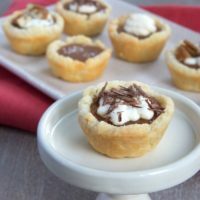 They’re simple enough to make and assemble that they’re a great choice for dessert for a small gathering. Plus, they’re just so pretty! These are destined to be a summer favorite for many years to come. Find more summer favorites in the Recipe Index. 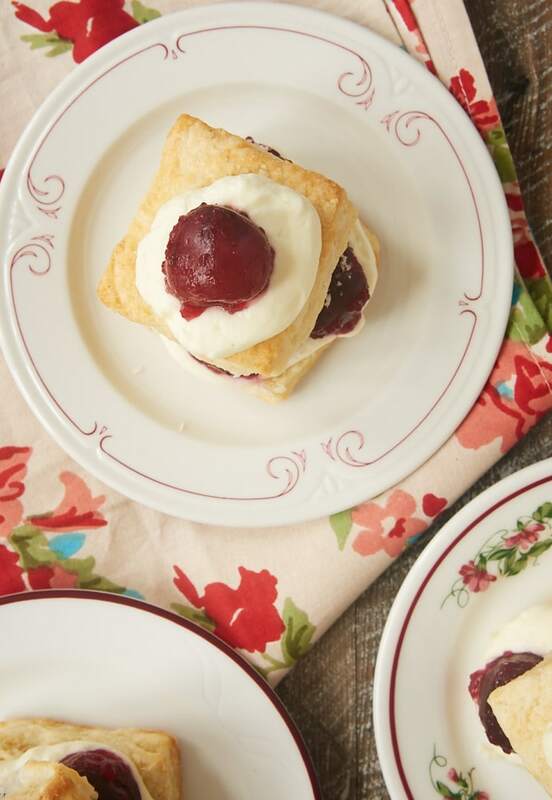 Sweet cherries, fluffy biscuits, and whipped cream combine for these delightful Cherry Shortcakes with Cream Cheese Biscuits. A summertime must! Preheat oven to 425°F. Line a baking sheet with parchment paper or a silicone liner. Add the cream cheese and butter. 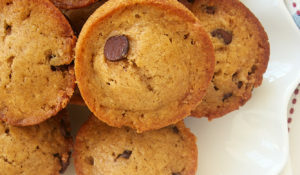 Mix with a pastry blender, a fork, or your fingers just until combined. Add the milk, and continue mixing just until the dough comes together. Transfer the dough to a lightly floured surface. Use your hands to pat the dough to about a 3/4-inch thickness. Use a 2 & 1/2-inch square biscuit cutter to cut out the biscuits. 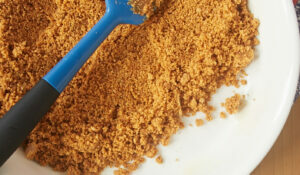 ** After you’ve cut out as many biscuits as you can, gather the dough once more and cut out the remaining biscuits. Transfer the biscuits to the prepared pan. 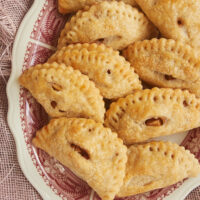 Place them close together for softer sides or further apart for crisper sides. Bake 14 to 16 minutes, or until lightly browned. Combine the cherries, sugar, water, and cornstarch in a heavy saucepan. Cook over medium heat, stirring frequently, until the mixture comes to a boil. Continue cooking 3 or 4 minutes, or until the mixture has thickened to the desired consistency. Remove the mixture from the heat, and stir in the vanilla. Set aside to cool. Split the biscuits in half, placing the bottom halves with the cut side up. Dollop whipped cream on top of each biscuit half. Spoon some of the cherry mixture over the whipped cream. Top with the top halves of the biscuits. Add more whipped cream and cherries if desired. *Adjust to your tastes and according to the sweetness of the cherries you’re using. **You can use a different size biscuit cutter if you like. Keep in mind that you’ll get a different yield. ***You’ll need about 1 to 1 & 1/2 cups of whipped cream, depending on how much you want to add to your shortcakes. 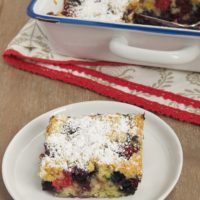 The components of these shortcakes can be made in advance and then assembled when you’re ready to serve. You’ll need to refrigerate the cherries and whipped cream. The cherries and their sauce can best be reheated over low heat on the stovetop, adding a bit more water if necessary to get the consistency as you want.